Yesterday I had my last ICT lesson with my Year 11 GCSE ICT class. They leave school for study leave on Thursday. 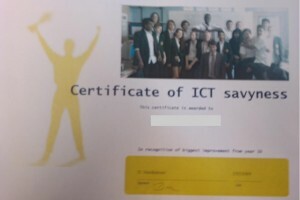 One girl took out her mobile to snap a photo of her certificate and uploaded and tagged it on facebook (via her mobile). 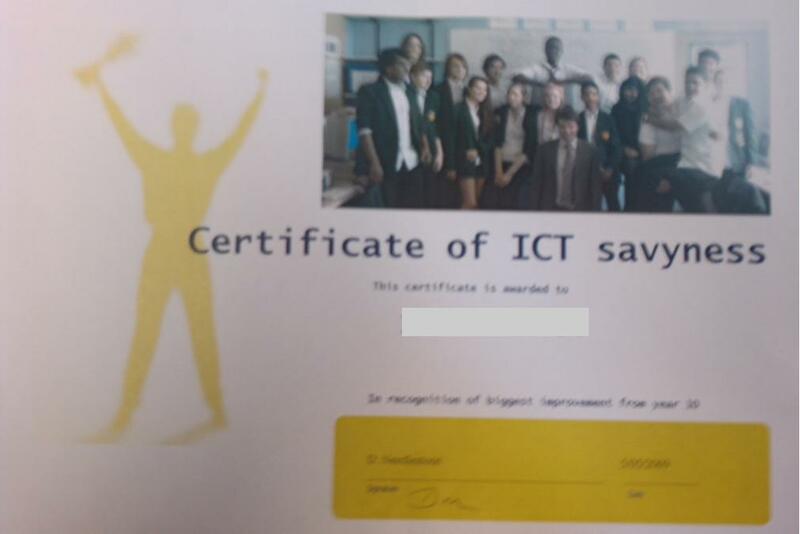 (a) Marvel at how technology is used by teens and schlep nachas (take pride – yiddish) that my student had liked the certificate. (b) Ask her to delete the photo and confiscate the phone. (c) Phone her parents and warn them of the dangers of a 16 year old having unfiltered access to the internet on their phone.